Literally five minutes ago I wove in the ends on the last of my Christmas knitting for this year. Because I started back in August, my gift crafting has been quite a calm affair and I’ve managed to resist the temptation to add on lots of last minute things. 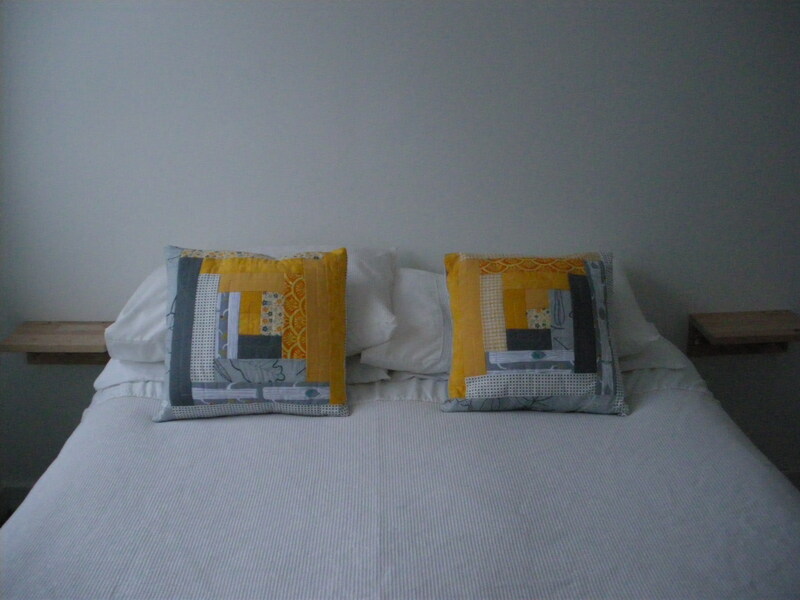 A couple of little log cabin cushions, a reminder of my dream to one day make a Sunshine Medallions Quilt, in the exact same colours. This is the room my grandparents will be staying in when they visit our house for the first time tomorrow. My gran is a fantastic knitter, sewer and an inspirational crafty lady and it seemed important to me that there was something lovely and handmade in here. 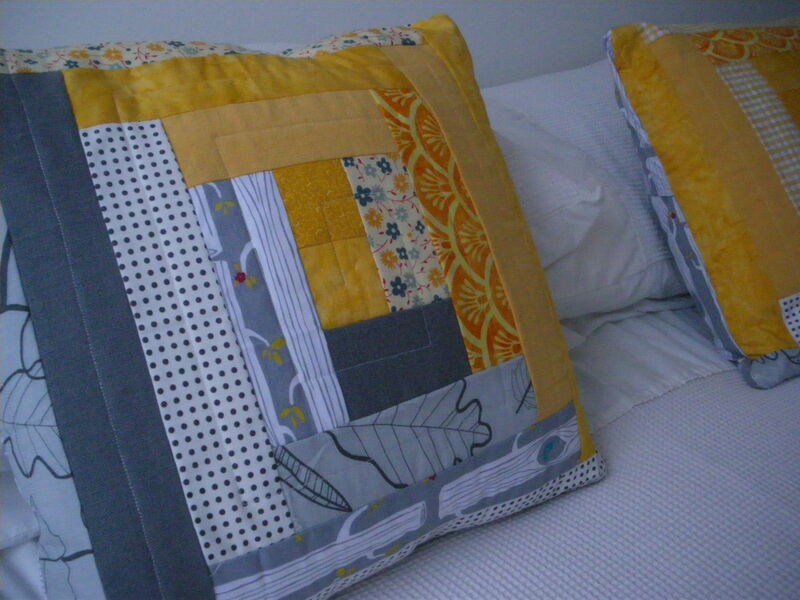 I wasn’t too sure about these while piecing but somehow the little quilting I did seemed to bring it all together. Some of the plain yellow comes from fabric that needs to become curtains for this room, sometime in the next 12 hours…eek! I’ve been keeping a bit quiet recently, plodding away with decorating and keeping warm. The massive amount of snow we’ve had means that my little town has been pretty much cut off – all the trains from here have been suspended and the roads are a bit dodgy for driving. I’m quite enjoying been tucked up warm indoors and I’ve had Mr Saz working from home in our kitchen for the last two weeks as getting to his office has been impossible. I am going through a strange knitting phase of only working on one thing at a time, very unlike me! I managed to coax my photographer outside this afternoon for a photoshoot of several things I’ve finished recently. My absolute favourite though is my New Christmas Jumper!